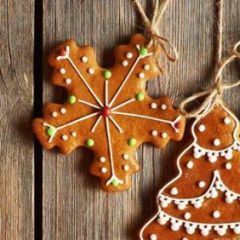 Water, Petrolatum, Cetearyl Alcohol, Mineral Oil (Paraffinum Liquidum), Ceteareth 20, Sodium Phosphate, P Chloro M Cresol. I woke up one night with an itchy feeling all over my face. It was like skin inflammation, I swear I wanted to claw the skin off my face, it was so bad! So I hurried to the bathroom and washed my face to cool it down and I dabbed some of this cream on my face and the burning sensation was gone within seconds! I was so surprised and relieved. I bought this cream for my babies because they have eczema and never thought to try it on my sensitive skin but I'm glad I did that night. I've been using it as my moisturizer. I have cystic acne that causes my skin to inflame quite a bit and although it doesn't help much with my breakouts, it has helped with the itchy feeling. I love it still. - Its Not Drying - It Protects My Skin From Sun Burns - It contains SPF - gets rid of a litlle acne :) - Kinda Gives Me A Litlle Pimple - i love this product it is one of my skin care routine products ... it made my life much easier annd my aunt works for well skin so i got it foor FREE and she still continues to give me free tubes/samples of her new products ..it really helps my acne and most importanly its natural and recommnded by my dermotologist . The cream was suggested by my Doctor when I was going through Radiation treatments. It worked great kept my skin moist. the Radiation still burned, but my skin only dried out a very little bit. It has been one week since my treatment still using on the area and will use on rest of my skin from now on. It has become my new moisture lotion. 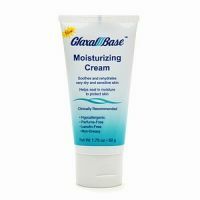 The tube of Glaxal Base cream lists some pros about the product, such as the fact that it is non-greasy, hypoallergenic, perfume-free, and lanolin free. All of these properties make this product a MUST for everyone to try! I have acne prone skin but I love the way this product gives me a matte finish when I moisturize, and so far so good. My skin hasn't reacted to this cream yet... :) No con's! Yet! Great product. Definitely worth a try. It will not disappoint. Works great, inexpensive Somewhat harder to find than other moisturizers I'm actually kind of surprised that this isn't on here already. It's been my go-to moisturizer for nearly five years now and I love it. It was originally recommended to me by a dermatologist and it's fantastic for acne-prone skin. Cool, moist and immediate relief of dryness from the BP without that icky greasy feel. The only downside is that it's not available at -every- pharmacy, which on occasion has tempted me to try other moisturizers. Even "noncomedogenic" ones highly-recommended here tend to feel much greasier and cause me to break out a little. The only other moisturizer I've liked as much as this one is actually a drugstore brand moisturizer which is a direct copy of this one but for about half the price. Anyway, if you're having trouble finding a moisturizer that doesn't leave you greasy, give this one a try.